We'll start with our usual caveat - as our listening time decreases (work, kids, age, life) and the number of new releases increases (staggering), these lists become more and more arbitrary. But I do know what I like - artists with something to say and good vocals. The older I get, the less interested I am in bands that sound cool, but with songs that aren't the slightest bit compelling. So one way or another, these 20 records moved me. And I don't concern myself with the fine print of whether an album is all covers or was recorded much earlier. If it's music released for the first time in 2013, it's eligible for my list. I include a special note at the end about two terrific hit singles brought to my attention by my teenage daughters. My favorite CD of the year, the one I keep coming back to, is the deservedly heralded Southeastern by Jason Isbell. He lays it on the line, absolutely throws down. 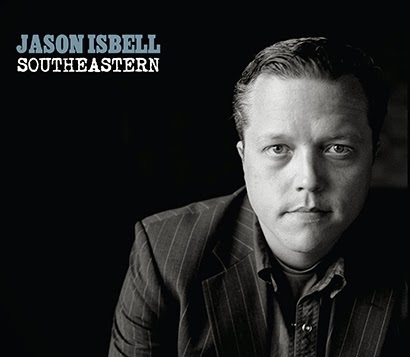 Isbell's performance on Southeastern reminds me of the boxer who goes full on for 15 rounds, still strong and throwing hard jabs to the last seconds of the fight, then at the final bell nearly has to crawl back to his corner, him having left it all right there on the canvas. This record is just so honest and real, and has a great sound. Songwriting of the highest order. Here's the remainder of my top 20 in alphabetical order. Neko Case, The Worse Things Get, The Harder I Fight, The Harder I Fight, The More I Love You. Neko Case established long ago that she is one of the best vocalists of her generation. And her voice as a writer has now caught up to her singing. Every song on this truly great CD with the impossibly long title is compelling and well performed. Not a false note here. Elvis Costello and the Roots, Wise Up Ghost. Costello is a master songwriter and performer, and knows what makes collaborations work. He wrote songs that benefit from the rhythms and funk and highly skilled ensemble playing that The Roots bring. Elvis and The Roots might sound like an odd paring but wow does it work. Full review here. Bob Dylan, Another Self Portrait 1969-1971, The Bootleg Series Vol. 10. Who else but Bob Dylan could put out a set of unreleased material from 43 years ago and have it be one of the most respected and talked about buzz records of the year? Dylan's deep and idiosyncratic foray into his blues and folk roots confounded his mass audience in 1970 but we're ready for it now. We've evolved. Tommy Keene, Excitement at My Feet. Perfect power pop from a true master of the form. John Hyland's review here. This record is so much fun. The National, Trouble WIll Find Me. Matt Berninger's voice is a haunting, highly moving instrument. And Bryce and Aaron Dessner are evocative guitar players. Trouble Will Find Me is the sort of sweeping, ambitious rock record that R.E.M., U2 and Radiohead made. But standard rock anthems it is not. Trouble Will Find Me, full of resonating lines like "When I walk into a room, I do not light it up", is a brooding affair that gradually inched its way into my heart and won me over. Over the Rhine, Meet Me at the Edge of The World. Karen Bergquist's voice is stunning, and she and her husband Linford Detweiler are ambitious and highly skilled songwriters. It all came together on Meet Me at The Edge of The World, produced with love by Joe Henry with the magic of his crack band, including the great rhythm section of Jay Bellerose and Jennifer Condos. Parson Red Heads, Orb Weaver. WYMA have been big supporters of this irresistible Portland quartet. Orb Weaver is a far tougher power pop/rock record than their previous, sunnier pure pop efforts, and a nice progression for the band. Evan Way is a thoughtful and serious young man whose positivity and personal values bring heart and strength to these songs. Full review here. Here's the piece on Phosphorescent John Hyland wrote here at WYMA with video for another standout song "Ride On/Right On". Michael Rank, Mermaids. Michael Rank (ex-Snatches of Pink) from Chapel Hill put out two fine CDs this year, - Mermaids and In The Weeds - heartfelt, rough-hewn country records about the disintegration of a marriage, heartbreak and picking up the pieces. Rank lays it on the line. I find the performances on Mermaids a cut above but both are high quality efforts. Rank gets a lot of help from some of that area's best roots musicians. The songs on Mermaids are exquisitely well played and produced, and the duet vocals from Emily Frantz are truly special. The Sadies, Internal Sounds. One of the world's best, most versatile and truest rock bands, The Sadies do it all here on Internal Sounds - garage rock, country, psychedelia, punk. These Canadians employ as much great taste as they do great chops. A rock'n'roll joy ride. Superchunk, I Hate Music. Mac McCaughan and his Chapel Hill indie rock superheroes are aging amazingly well. And embracing it too, stretching themselves and writing about bigger topics than they might have 20 years ago. But just because the topic of grief and death come up here, don't think I Hate Music can't make you happily jump up and down like it's 1991 all over again. Full review of I Hate Music here. Kurt Vile, Wakin On A Pretty Daze. One of the consensus choices on Best of 2013 lists, Kurt Vile's beautiful songs stretch, push and pull, with some of the best acoustic guitar playing you'll ever hear in a rock and roll context. Hypnotic and original music. Full review here. Jonathan Wilson, Fanfare. A highly skilled and meticulous folk rock record recalling the best of '70's Laurel Canyon albums. As I look back on the year, I realize I spent a great deal of time with my 14 year old twin daughters listening to their music, especially in the car with commercial radio stations. I think it embarrasses them that their Dad writes for a music blog about bands that in one of their words "no one has heard of or listens to." But I did find music to like in their world. Certainly, Macklemore is a triumph, demonstrating irresistible hit making of the highest order. What's not to like about that guy? I'm super happy for his success and his willingness to embrace a platform of righteousness. As always, we greatly appreciate our readers. It is so fun to read the stats on where WYMA's visitors come from (we are especially happy to welcome our readers from the American military stationed overseas). And a special thank you to my fellow blogger here, Rocksteady74 (Scott), who did yeoman's work and carried WYMA this year. And he made me really really want to visit New Zealand. I wish you all good health and more new music in 2014! Your daughters have excellent taste, particularly regrsding VW (proud graduates of my alma mater). Not familiar with some intriguing sounding choices on your list. Thanks for helping me try to keep up!